In an age where respect is little known and even less practiced, showing honor for those who are older is often overlooked. 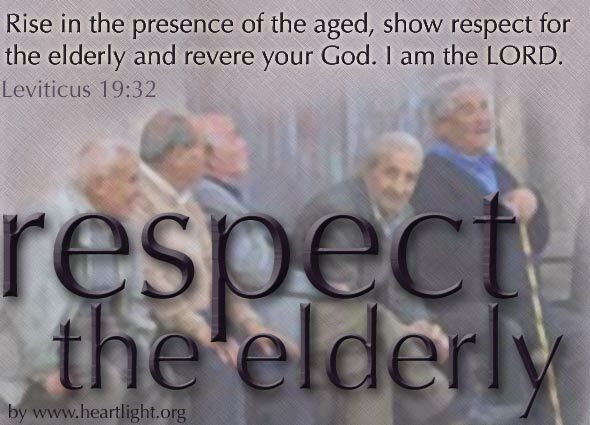 Yet in this place, by the LORD's own word, showing respect for the elderly ranks right up there with reverencing God. But then we shouldn't be surprised, since God made honoring parents the very first commandment (in the Ten Commandments — Exodus 20) directed at our relationship with others — the first four commandments were directed at our relationship with him! Holy and Eternal God, thank you for my parents in the flesh and in the faith. 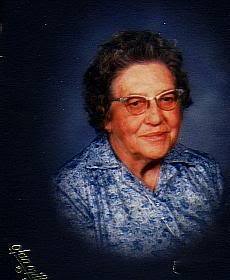 Please give those who have been my spiritual mentors a special blessing. Without their guidance, I'm not sure where I would have ended up. Help me as I grow older to not only mature, but to also gain the character that will be needed by those whom you have placed before me to influence. May we, young and old alike, restore dignity and respect to our relationships before you in our generation. In Jesus' name I pray. Amen.